A subtle blend of technologies. 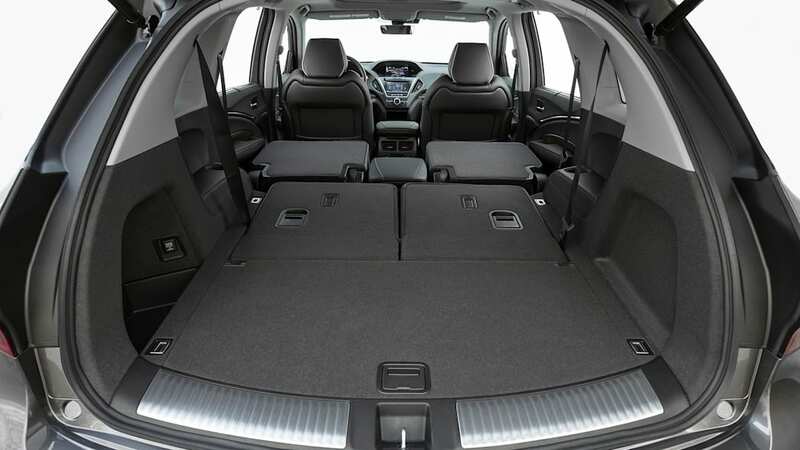 There's a lot to unpack when trying to understand the 2017 Acura MDX Sport Hybrid. 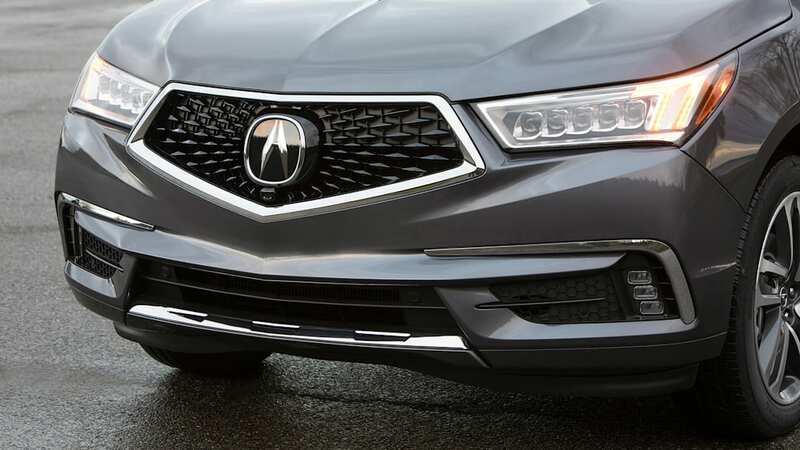 Acura is billing it as a three-row crossover infused with NSX technology via a sport-oriented hybrid drivetrain. So it's a hybrid crossover, sure. But it doesn't comport itself like a traditional crossover, nor is it a conventional hybrid. What it is, underneath, is an intentionally subtle blend of impressive technologies doing their best to appear transparent – and it's too subtle, I fear, to be appreciated by those who'd like it the most. 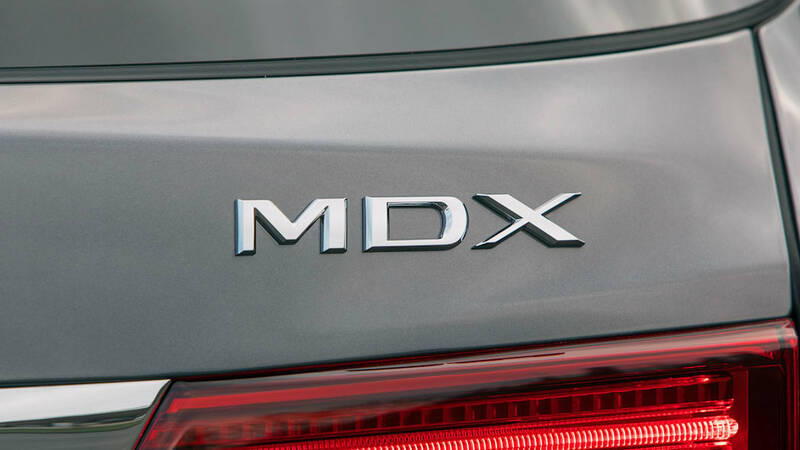 This is a lot of foreshadowing, but if you're not familiar with the MDX Sport Hybrid's powertrain, let's fill you in. 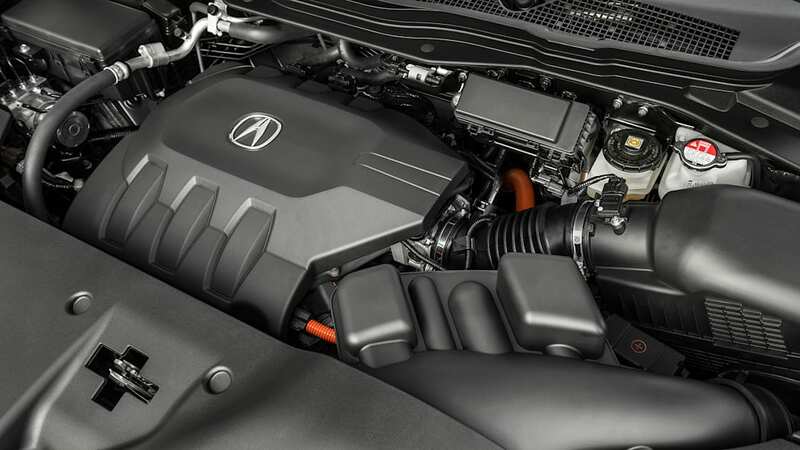 The MDX Sport Hybrid uses the same basic system as the 2014 RLX Sport Hybrid, with some newer NSX battery tech sprinkled in, packaged neatly into the refreshed third-generation MDX platform. 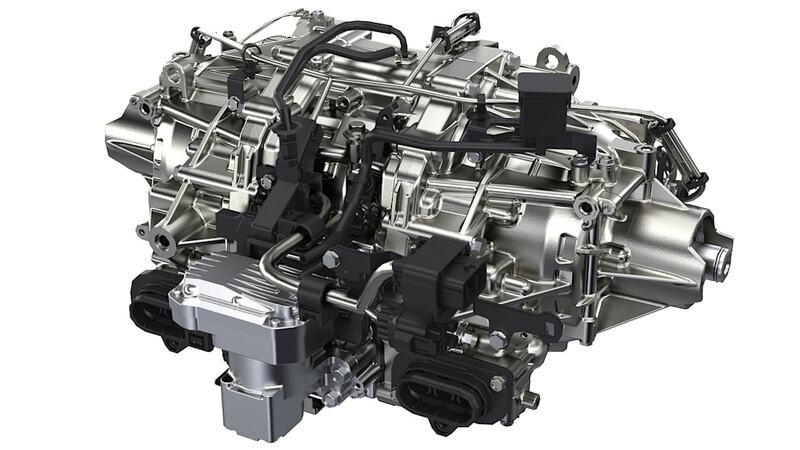 The system improves handling and efficiency – but more important, it smoothes out the harshness of shifts and engine stop-starts. We do need to examine the system in some detail to understand how all this affects the MDX as a whole, so let's go toe to tail. 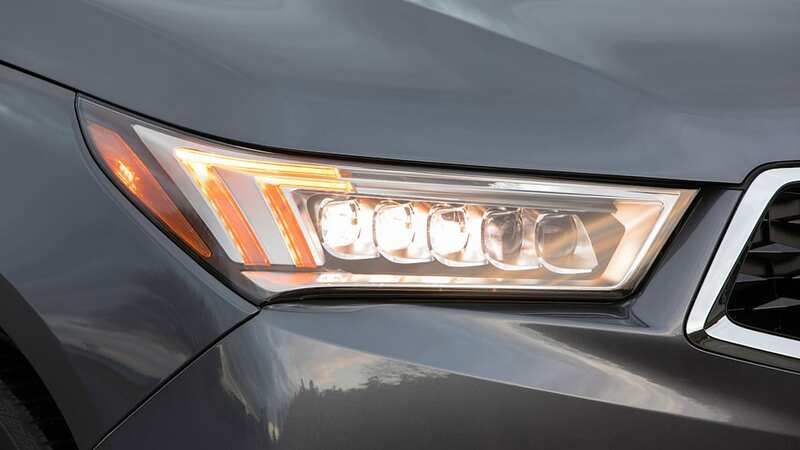 Up front is a transversely-mounted 3.0-liter V6 making 257 horsepower and 218 pound-feet of torque, as well as featuring i-VTEC and cylinder deactivation. 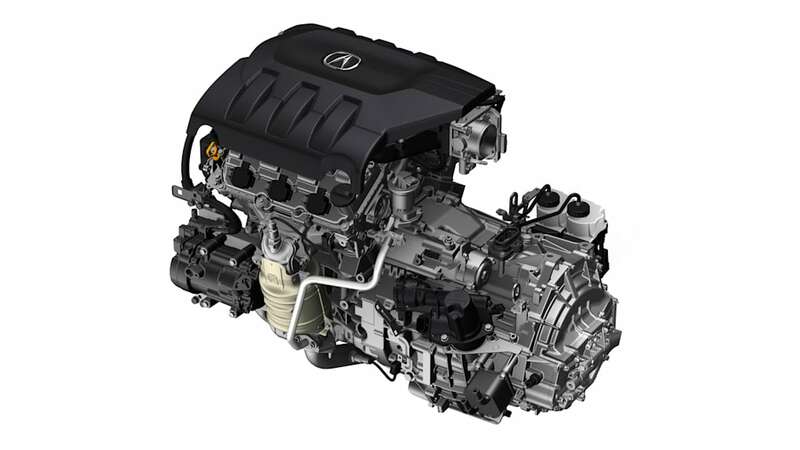 It's slightly smaller than the 3.5-liter V6 found in the conventional MDX and many other Honda and Acura products. 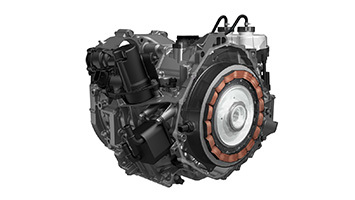 Attached alongside is a Honda-produced 7-speed dual-clutch transmission that has a 47 hp, 109 lb-ft electric motor-generator stuffed inside. Amidships are the battery pack and the electronics to control it, and stretching aft from there are large cables feeding power to a pair of electric motors that reside in single housing, one for each wheel. Together, they produce electron witchcraft and torque-delivery wizardry – and add 72 hp and 108 lb-ft of torque to the mix. The total system output is 321 hp and 289 lb-ft of torque – a gain of 31 hp and 22 lb-ft over the conventional MDX SH-AWD. 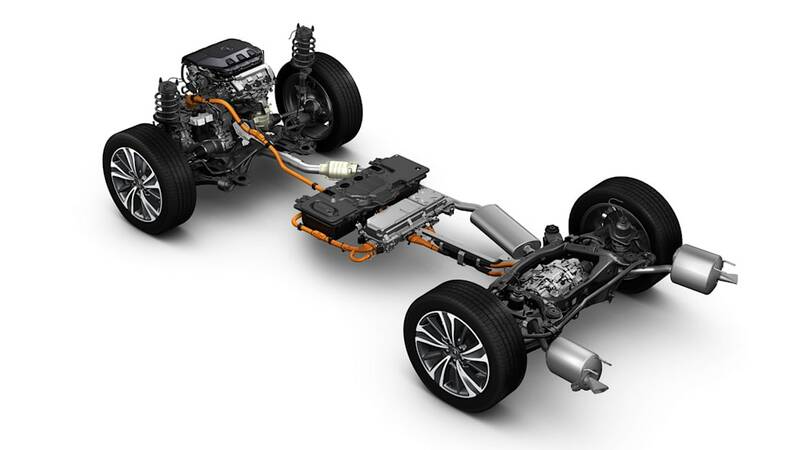 Beyond the raw numbers, there's the remarkable subjective benefit of the Sport Hybrid's drivetrain. Engine start-stop events are quiet and smooth, nearly imperceptible when under way – in stark contrast to the too-perceptible shudder of competing engines kicking on. 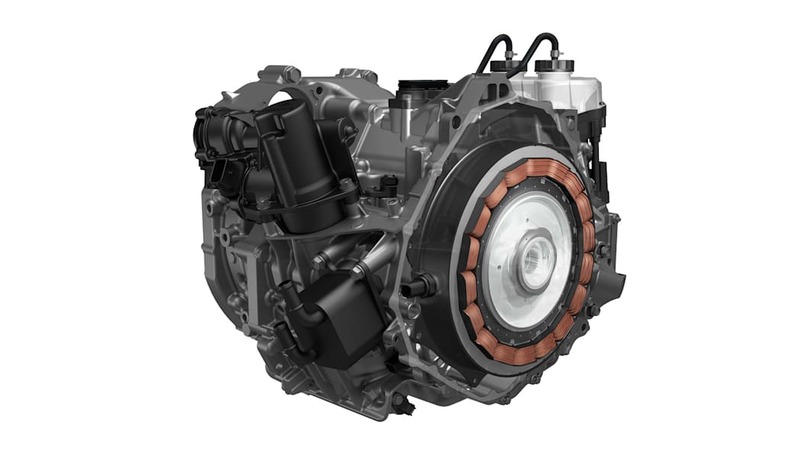 The electric motors (mainly the one residing in the transmission) add in power to make up for the lull during a shift, making shifts up or down seamless, as well as providing regenerative capacity. 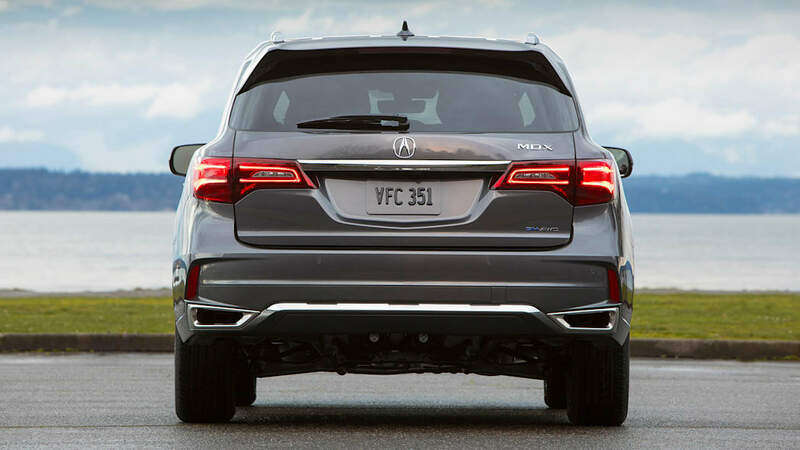 And from a dead stop the MDX will use the rear motors to move off, which overcomes a major limitation in most DCTs: low-speed lurchiness. While there's some fuel economy benefit (the city rating jumps 45 percent to 26 mpg in EPA testing), the 1.3 kWh pack isn't big enough to provide an EV-only mode, so it's best to think of it as an elaborate assist system for the gas motor that adds more power and smooths out some rough spots. Sure, it provides some green benefits on the side, but that's not the modus operandi of this equipment. When I use the terms "smooth" and "near-seamless," I'm not exaggerating. 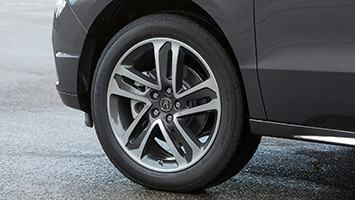 To be fair, it performs just as well in the RLX Sport Hybrid, and has for a few years now, so it's a shame that vehicle is so criminally overlooked. 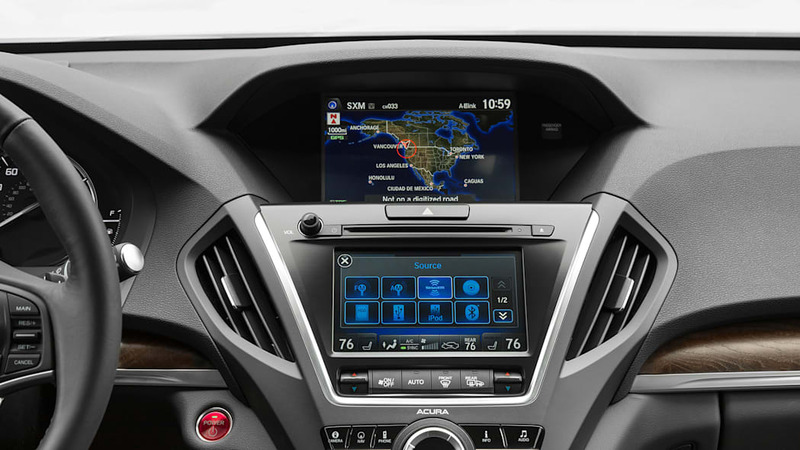 This is just the first time the hardware's found its way into the MDX, and, as Acura hopes, more garages than the RLX. 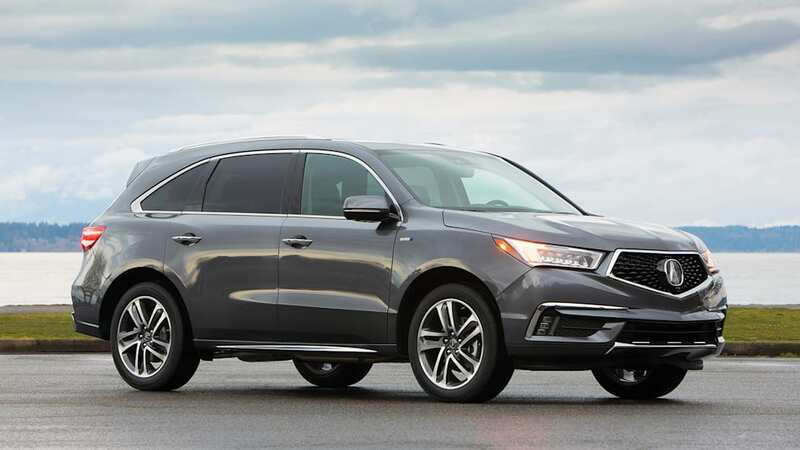 In the interim between the RLX Sport Hybrid and the MDX Sport Hybrid, Acura produced a new sportscar. You might have heard of it; it wears a classic name but differs drastically in concept from its predecessor. The NSX uses some of this hardware in a slightly different way, but basically the rear twin-motor unit and the battery cells are shared between the NSX and the MDX Sport Hybrid. 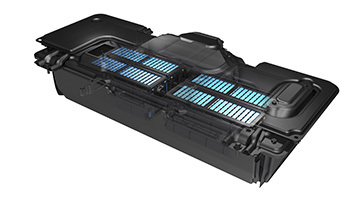 The smaller, more energy-dense cells developed for the NSX result in a similar capacity to the RLX at a smaller size. 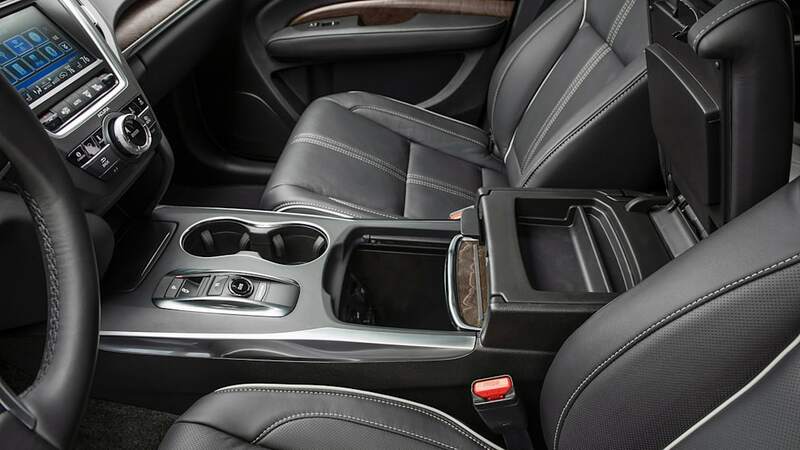 Instead of eating up a lot of trunk real estate, as it does on the RLX Sport Hybrid, the MDX Sport Hybrid's battery unit fits under the front seats and doesn't intrude on the passenger compartment at all. It just takes a peek inside to discover there's no space-robbing hump or cargo area intrusion to give away the hybrid's game. 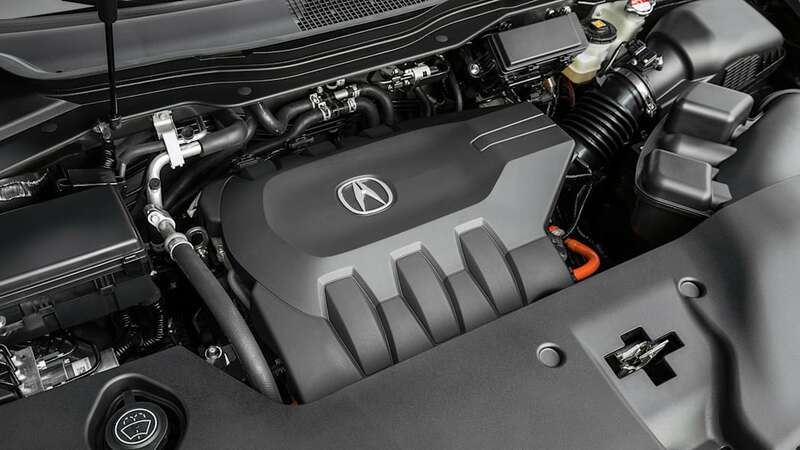 That's because the third-generation MDX was designed from the outset to swallow this powertrain. 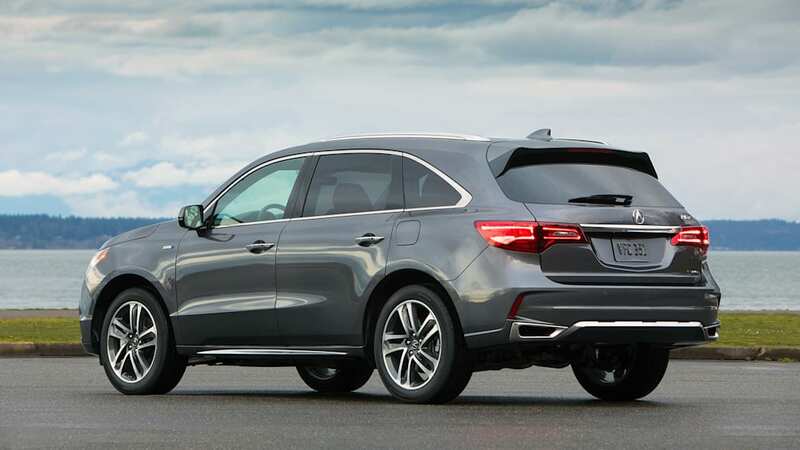 While there's some additional weight, about 220 lbs, all the MDX Sport Hybrid needs are some light-weight crossmembers to support the battery pack and tweaked rear subframe to handle the additional weight. 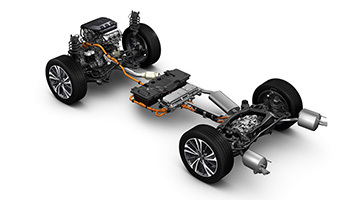 That means the vast majority of increased mass is due to the powertrain rather than structural reinforcements. And this is not offset by the use of lots of expensive exotic alloys or composites. 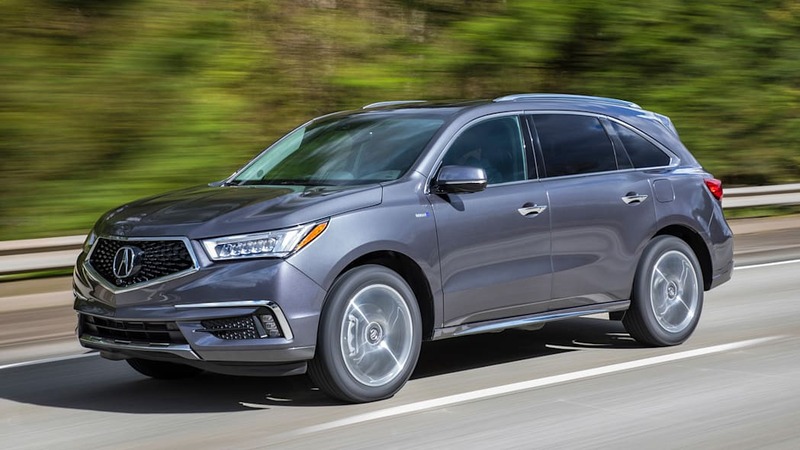 It's mostly regular MDX save those crossmembers, said Ken Lantz, an Acura engineer who patiently took every question I had about structural differences. He explained that the company takes a lot of pride in packaging efficiency. That's an engineer's boast if I've ever heard one. 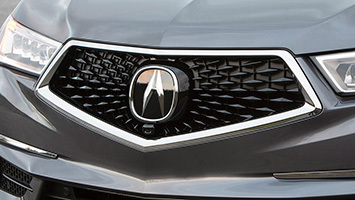 The Sport Hybrid gains body-colored lower side sills and little fender badges, about all there is to distinguish it from a conventional MDX, but behind the A-pillars the body is also mostly pre-facelift MDX. 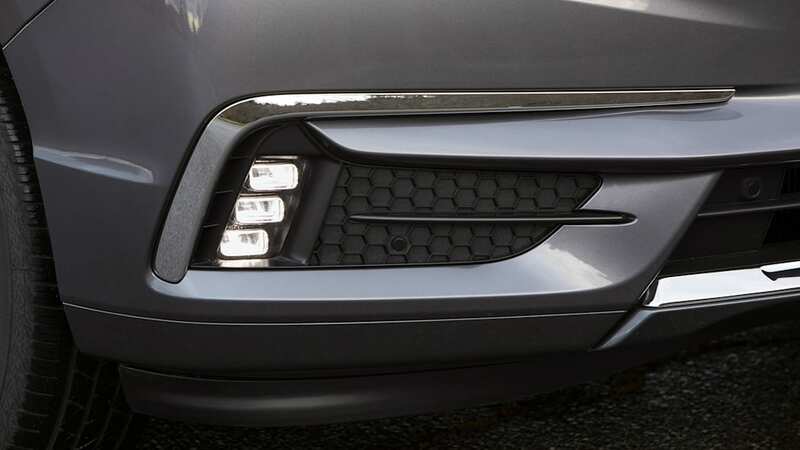 Like its conventional sibling, it's been debeaked: That large chrome strip in the grille has been replaced by the "Diamond Pentagon" grille treatment. The multi-element headlights also grow in size, and gain some company in similar-looking foglights nestled in a more complex lower fascia. Compared to the 2016 models, it's more handsome – but considered as a whole, it's distinctive at the expense of attractive. 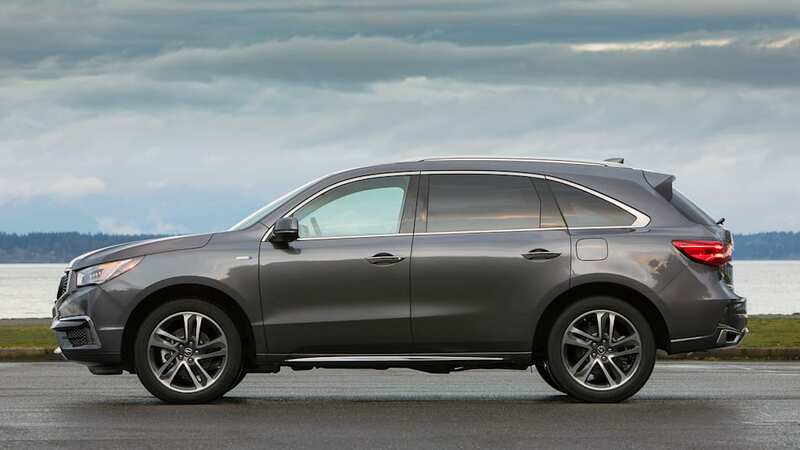 These hawkish, angular family styling tropes really hold the MDX back, although neither of its main Japanese competitors – the Lexus RX450h or the Infiniti QX60h – are anything to shake a stick at. Inside, the '17 MDXs gain a comfortable, roomy second row of captains chairs as an option, and unless you desperately need the extra seat I'd suggest equipping them. 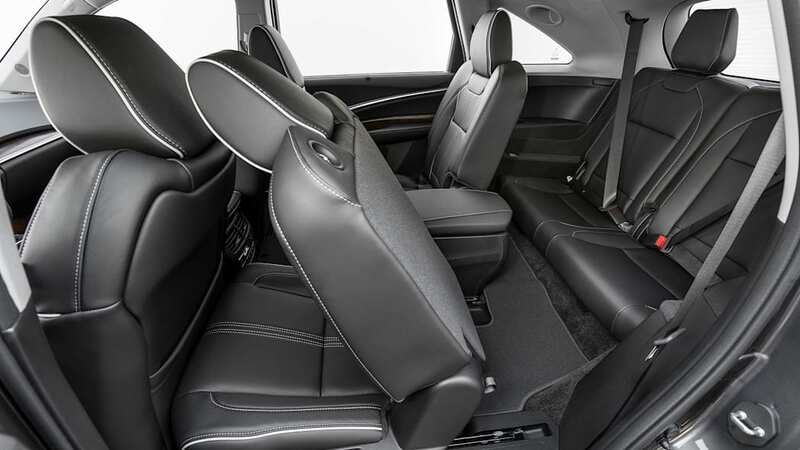 The third row seat is tight, but not overly so for the class – and it'll be fine for the kids. Most of us reading this review won't have to be back there much, so out of sight, out of mind, right? 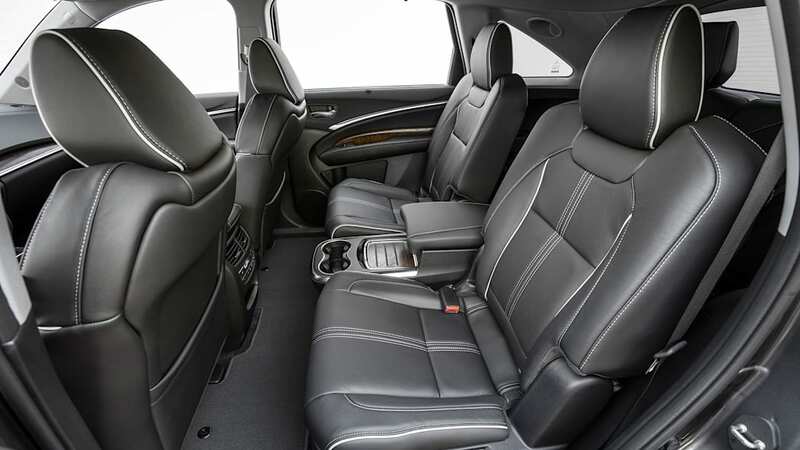 Opting for the Advance Package nets the captains chairs as well as an attractive open-pore wood trim – the wood type is dependent on which interior color theme you choose. May I recommend the Espresso? 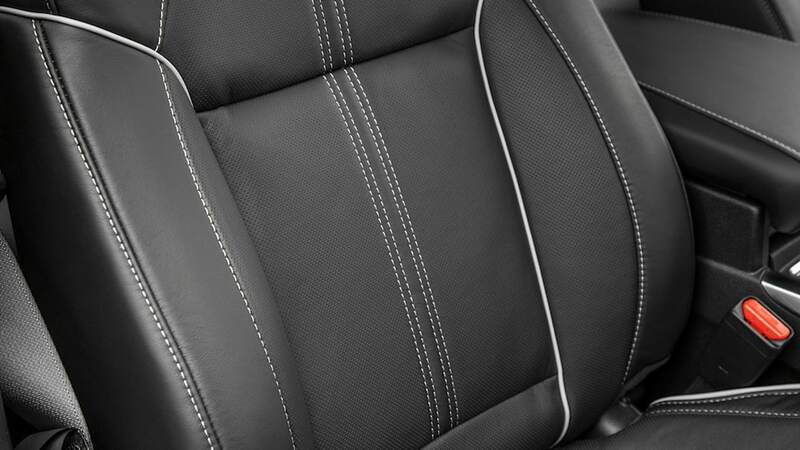 It's a lovely brown that warms up the interior a bit. 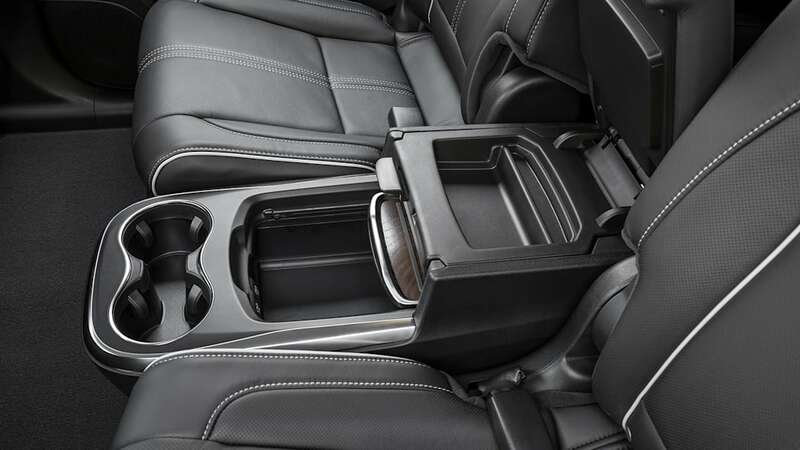 And the interior needs it. 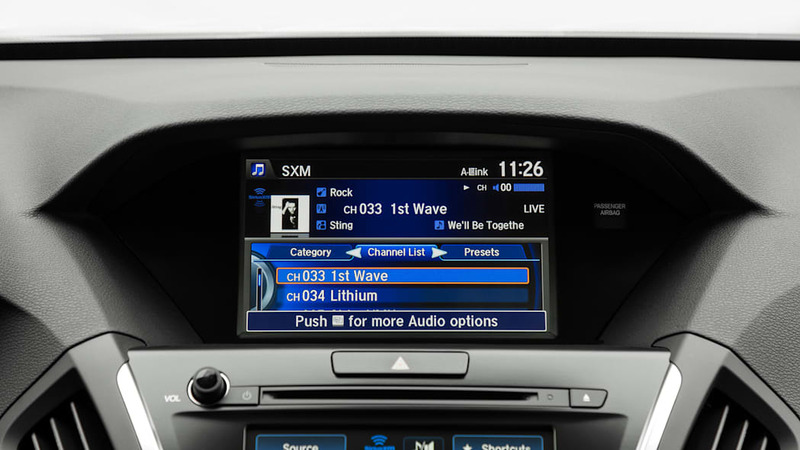 The unfortunate bi-level infotainment system remains, and with it comes weedy response time and a graphic interface that looks more appropriate to an older Playstation console than a near-luxury vehicle. 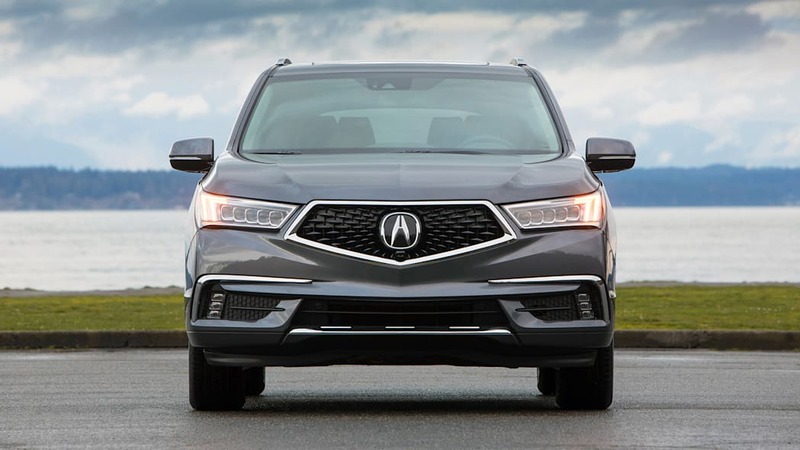 In fact, look around and you see a lot of Honda lightly overlaid with nicer Acura materials, which is not unexpected – but even so, a few more dollars spent to elevate it beyond its Honda Pilot sibling would be appreciated inside. 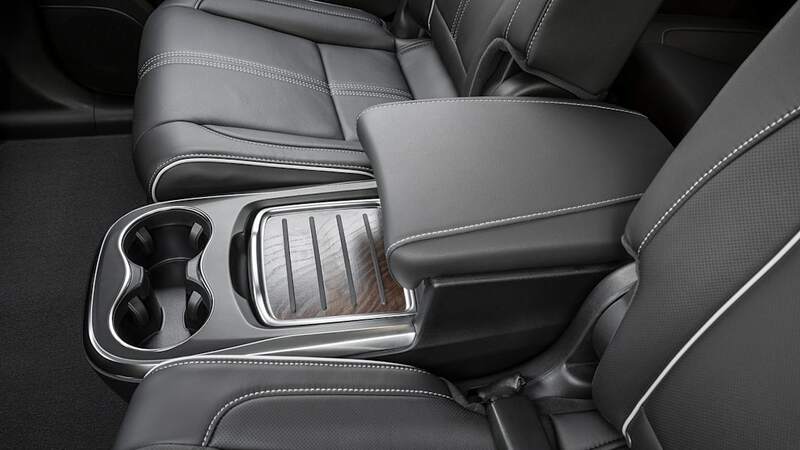 Tidbits like the Sport Hybrid-exclusive aluminum sport pedals, which are exactly the little splash of special that buyers in this segment crave. The MDX Sport Hybrid's real uniqueness comes into play once in motion. As I described above, that's partially due to how smooth it is in all operating modes. 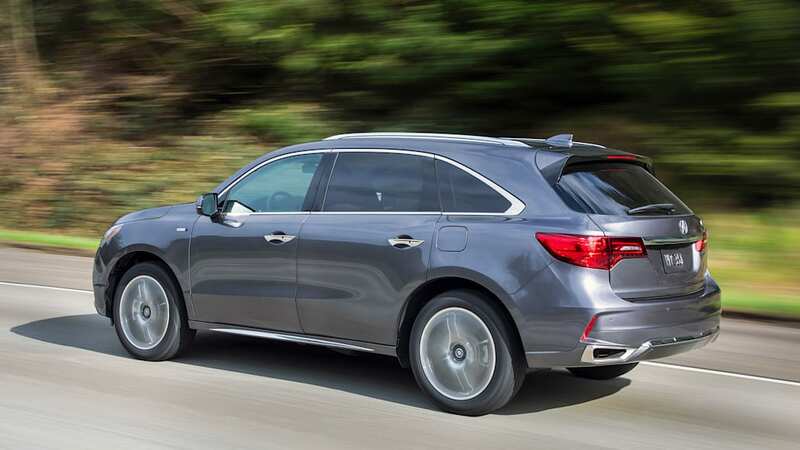 This is also a performance-oriented system, so the MDX Sport Hybrid is quick enough in the real-world measure of passing a weaving, wheezing jalopy on a two-lane road. Plant your foot in the throttle and there's instant pull without much of a wait for a downshift or three. And roadholding on the wet, sinuous roads winding along the foothills of the Cascade Mountains east of Seattle was tenacious. 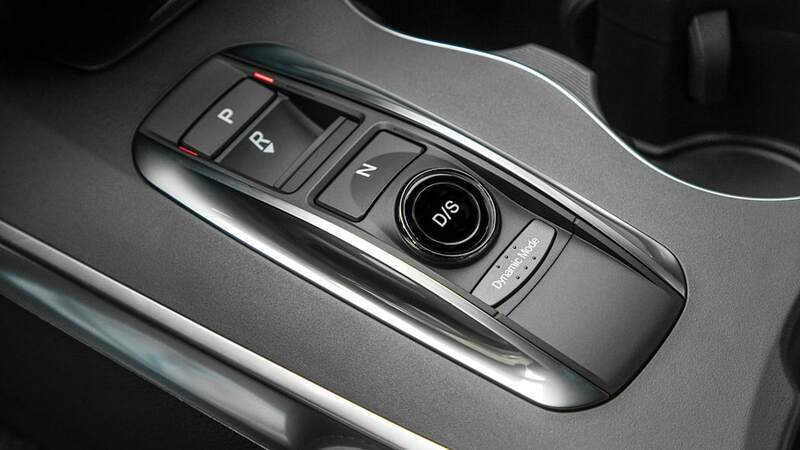 Dialing up the Integrated Dynamics System (IDS – Acura-speak for drive modes) also ratchets up the drama. 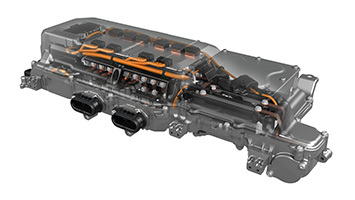 Sport increases the damping rate, provides more steering feedback, and increases the amount of torque vectoring. 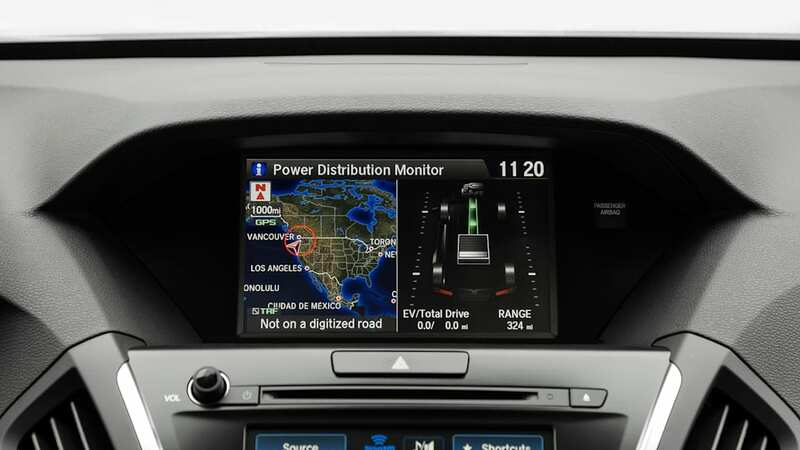 Sport+, which is exclusive to the Sport Hybrid, allows for first-gear starts, changes the shift points, provides a more aggressive throttle map, and allows for maximum battery assist from a standing start. What no mode enables is a feeling of increased confidence. 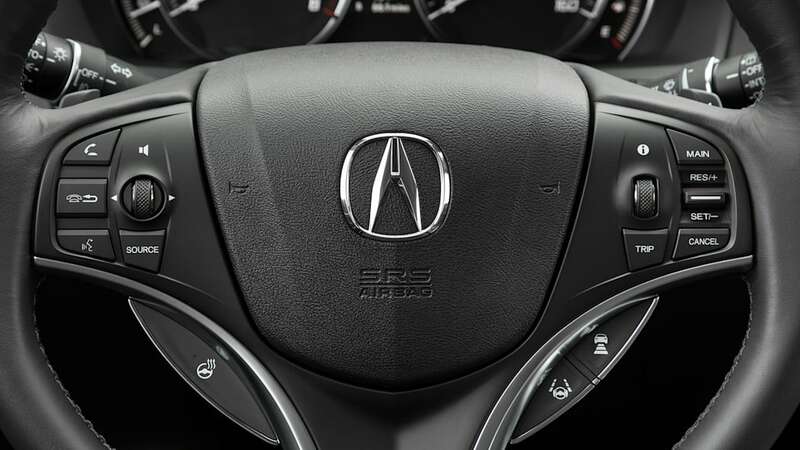 For one, the uncommunicative steering means that placing the MDX Sport Hybrid accurately in a freeway lane takes some attention. 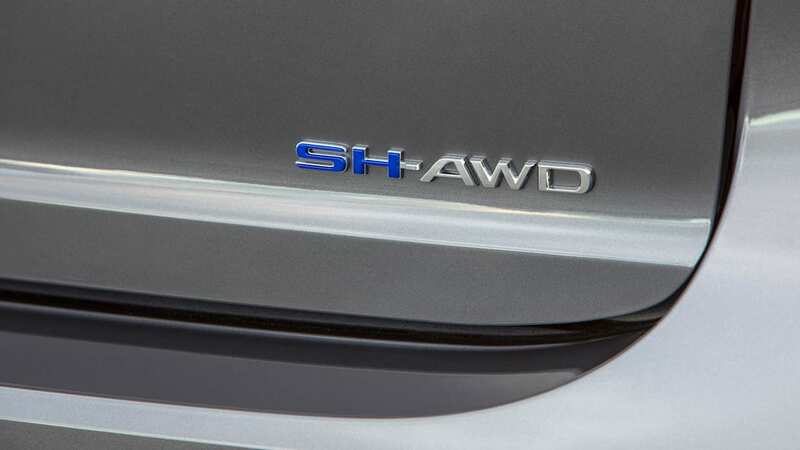 And while the SH-AWD's connection to the road might be excellent, and the way it moves torque across the rear axle to improve handling is technically impressive, the connection to the driver is lacking. Sure, this is a crossover, so expectations are low. 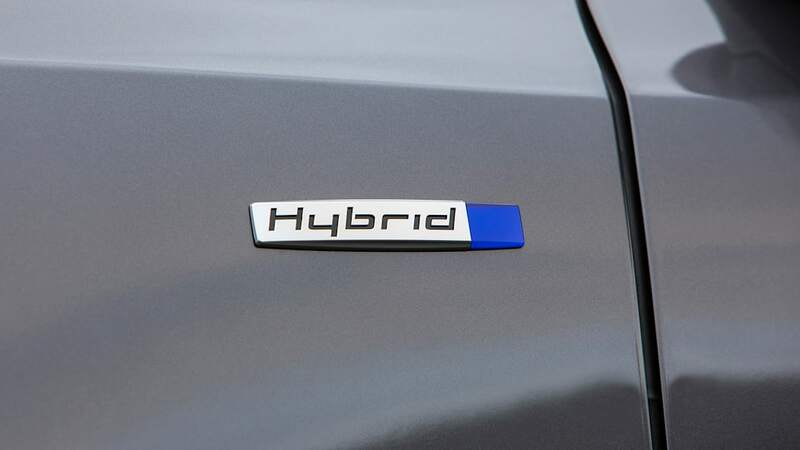 But the strange thing about the Sport Hybrid SH-AWD system is that system might keep you from sliding into a wet ditch under the moss-bearded trees, but it won't provide you with reassuring signals that the grip is, indeed, there. It's doing it for you rather than with you – and it's unsettling. The uncanny valley of good handling, you might call it. So if you consider the MDX Sport Hybrid's grip a safety net, you won't mind. But if you want to derive enjoyment from taking a corner crisply, look elsewhere. 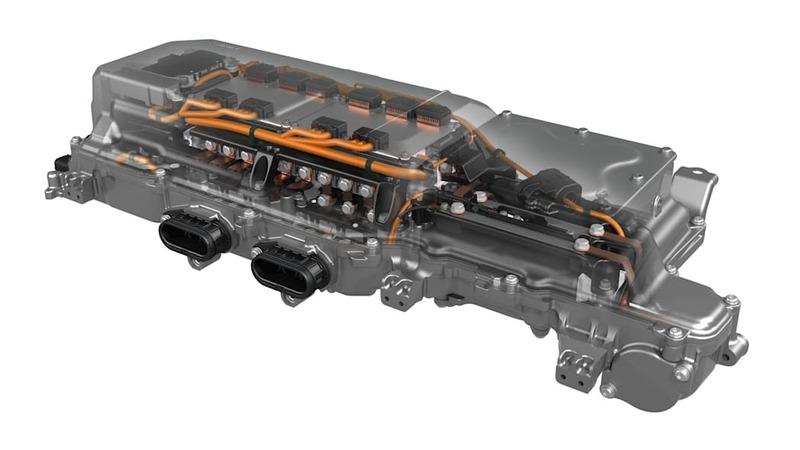 And that's even considering the continuously variable dampers, developed by ZF and an upgrade over the passively adaptive dampers in the conventional MDX. 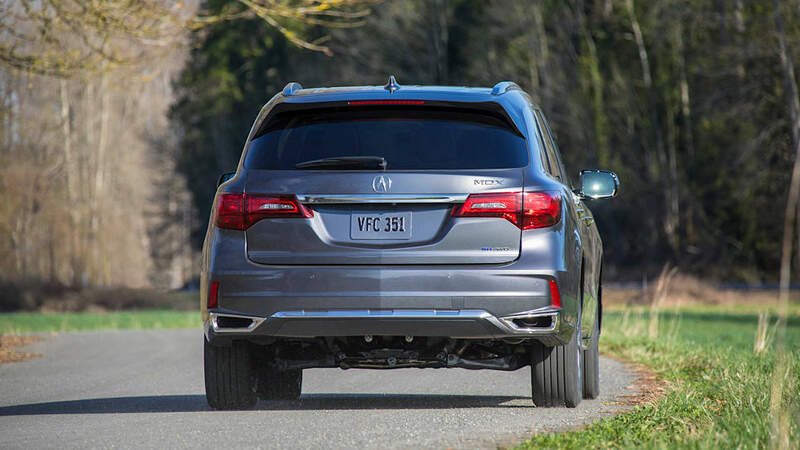 Even the MDX Sport Hybrid's lower center of gravity isn't enough to help some bucking and tossing as the big lug transfers weight through an aggressive corner. 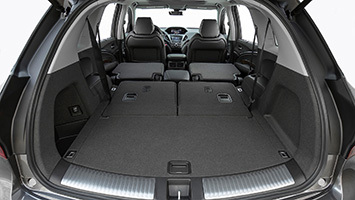 Your third-row occupants might mutiny if you try it. 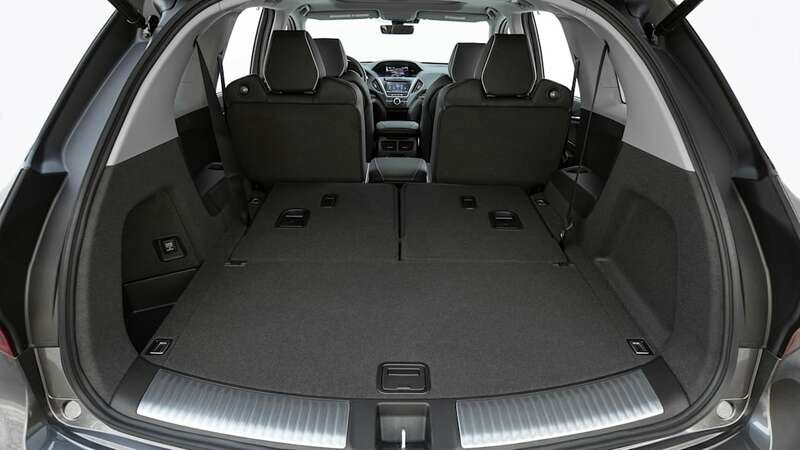 What did you expect from a vehicle that weighs 4,484 lbs? Back to reality. 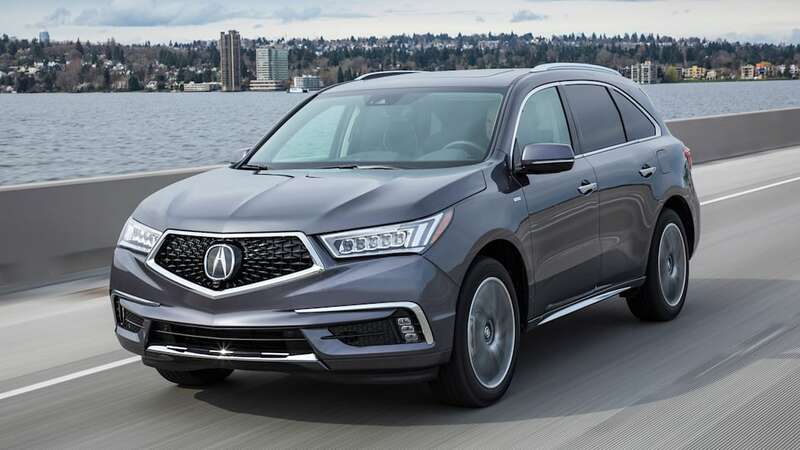 Acura is going to market the MDX Sport Hybrid to tech-savvy young families, and with a solid dose of NSX in the messaging. 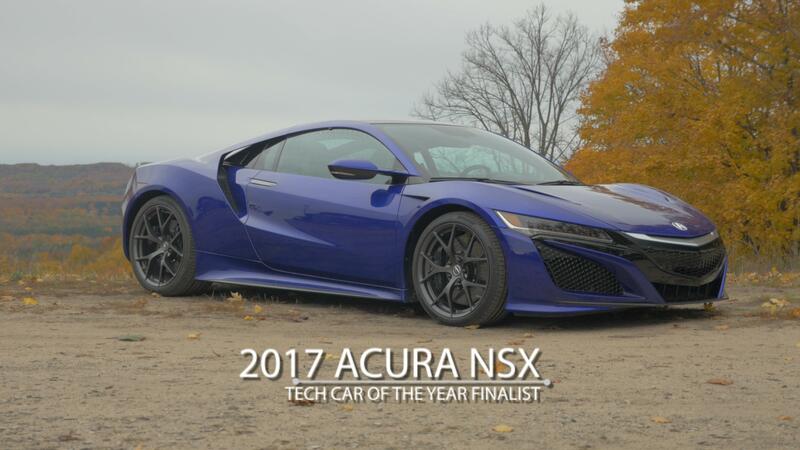 I don't think these consumers really and truly want a three-row NSX, and that's not what they're going to get. 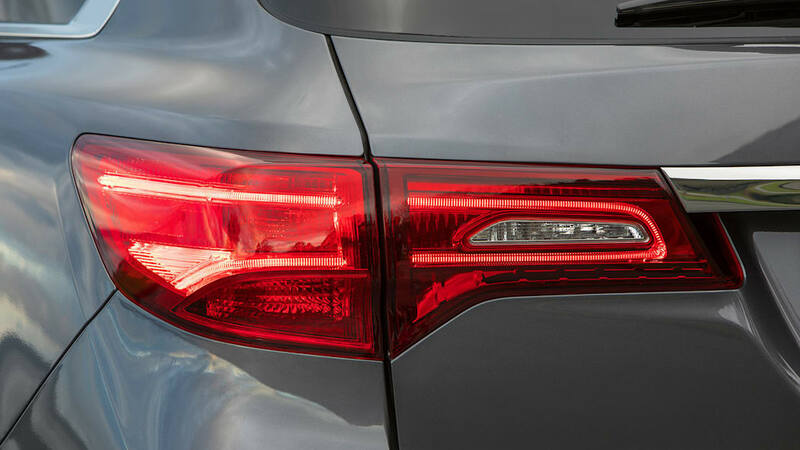 Instead, they'll get an especially smooth and powerful MDX with the kind of tech under the skin you'd like to brag to your neighbor about. The three-motor setup is neat, doesn't require a PhD to understand, and provides some real-world benefit to the driver on a wet onramp or on the pass headed to the ski slopes, if maybe less so on a back-road romp. 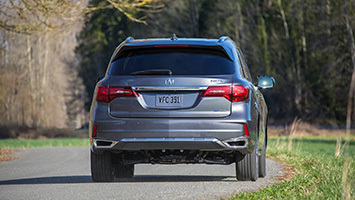 The smoothness really comes to the fore when driving the RX450h or QX60h, both of which Acura had on hand and both of which compare poorly to the MDX – especially the Prius-writ-large RX450h, saddled with a CVT and which transmits its green(er) cred through measured lurches, futuristic droning, and a not-insignificant amount of whining. And the QX60h might have one of the best CVTs in the business, but it's a milquetoast loaf next to the MDX Sport Hybrid's superior DCT/motor combo. 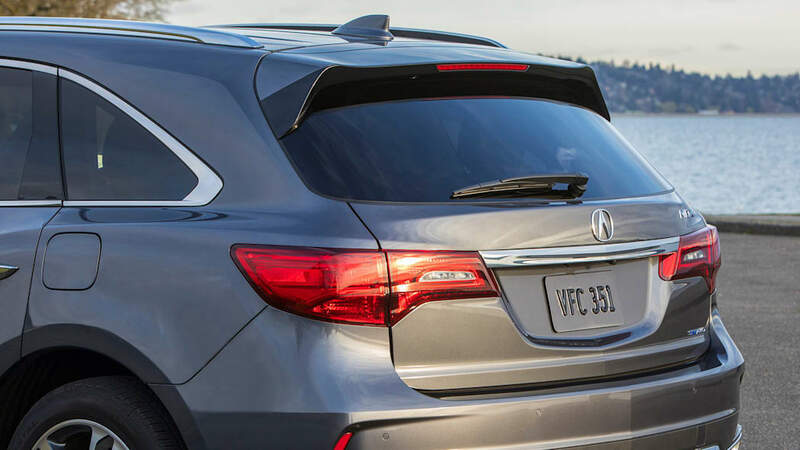 There are other areas that the Lexus and Infiniti shine, but the MDX Sport Hybrid's suaveness is paramount in this company. 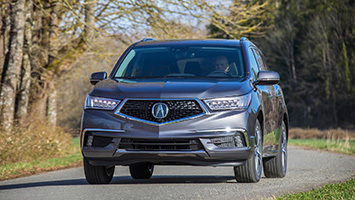 But note what Acura benchmarked the MDX against but didn't bring along: the BMW X5 xDrive 40e, Mercedes-Benz GLE550e, or Volvo XC90 T8 – all plug-in hybrids, all sophisticated to drive, and all offering some EV-only range. The X5 40e, to single one of those competitors out, embodies a considerably different philosophy regarding driver involvement. 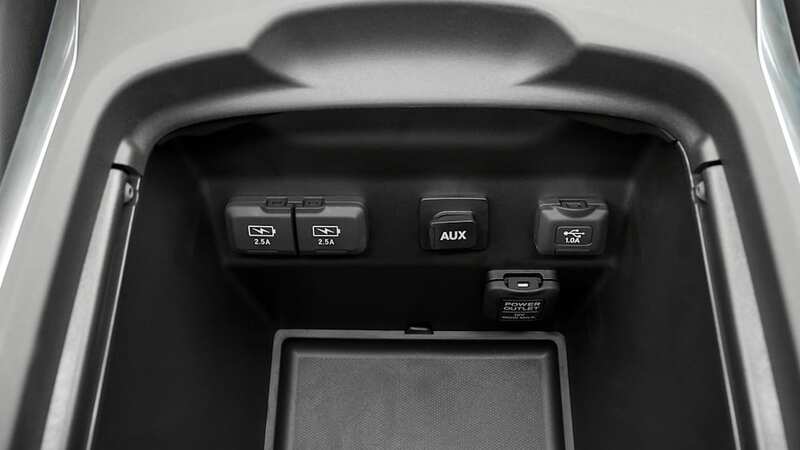 You can jockey the drive mode to Sport for max regen and drive it with one pedal, or lock it in EV-mode to glide around (or get a quick jolt of instant torque). 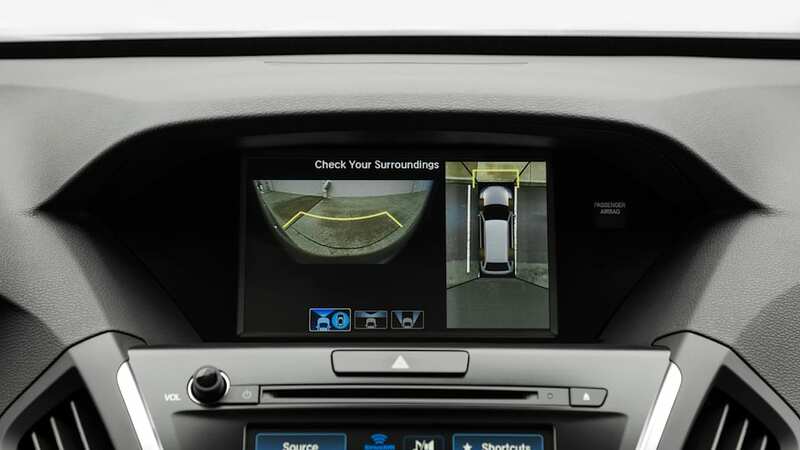 Not all the choices are optimal, but the driver's largely in charge. 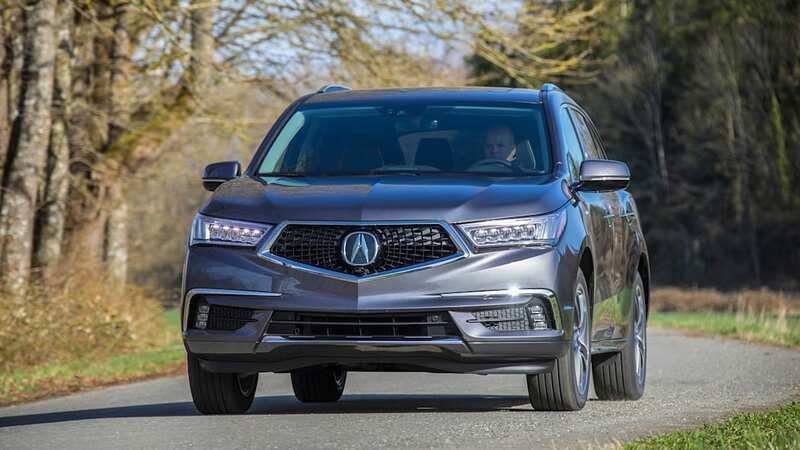 That's a far cry from the MDX Sport Hybrid, which likes to make the final call about which of the vehicle's drivetrain components do what task at any given time. So the MDX Sport Hybrid stands a bit apart from the crowd. Its innovative and phenomenally capable drivetrain is perfectly engineered to provide an exquisite but subtle experience that takes some concentration to appreciate. If you consider the contemporary zeitgeist, attention spans aren't really our strong suit right now. 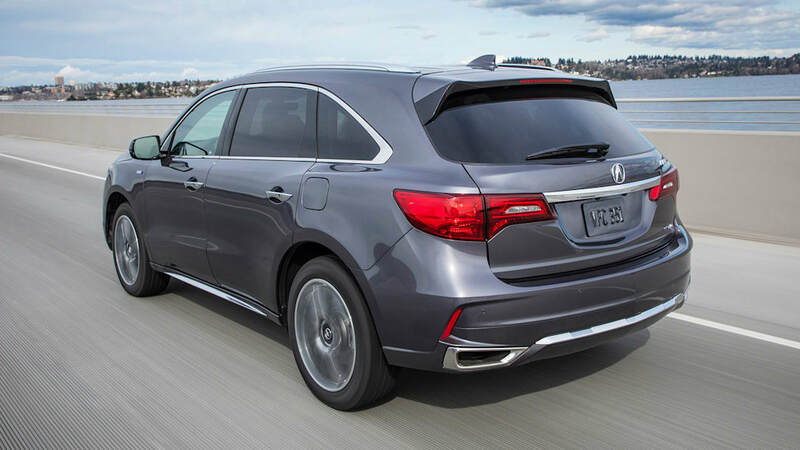 If you can sit still long enough to savor what the MDX Sport Hybrid has to offer, you'll probably enjoy it immensely.